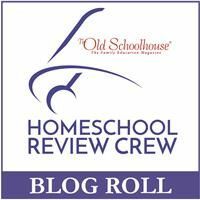 The Topic For Today: Homeschooling in a Crisis: From illness and death, to a sudden move or loss of job, crises abound and most of us just keep on keeping on. Homeschooling this year has at times been a challenge and this has necessitated some changes in how we did things. 2. Four funerals in one month with hubby as preacher. 2. Taking time off and learning that some things in life are more important than just getting the school work done. The lad attended two of the four funerals and for two of them he went to visit another homeschooling family for two days. Too much death for one seven year old lad. 1. I have a checklist. And it's just a matter of checking off... did we do this, this and that? a. folders where I would place the material that he needed to accomplish in it. Get through the folder done the day. The lad sorted like this and sorta didn't. Some days had lots of stuff and that would just stress him out so he didn't want to do any of it. When I'm not well battling just doesn't happen. I also have a strong dislike for ripping pages out of books, just doesn't set well with me. Overall what is working best is just having a checklist. And it's done in such a way that I can write in what we do and it makes it really easy to give the boy his stickers for doing the work without complaining. And if we don't get things done. well...there are other days in the world. Removes the pressure from both of us to "get through the list" and allows us to see at the end of the week what we did accomplish. When dad is really busy his being an introvert kicks into high gear. He requires time along and time QUIET. To that end we engaged in field trips and let's get out of the house and away time. We went to visit friends. We went to a museum. We had fun visiting Jumbo the elephant and learning some local history. We kept the house as quiet as possible so that Dad could actually get his work done without being stressed out by it all. It was a tough month but through God's grace we got through it relatively unscathed.